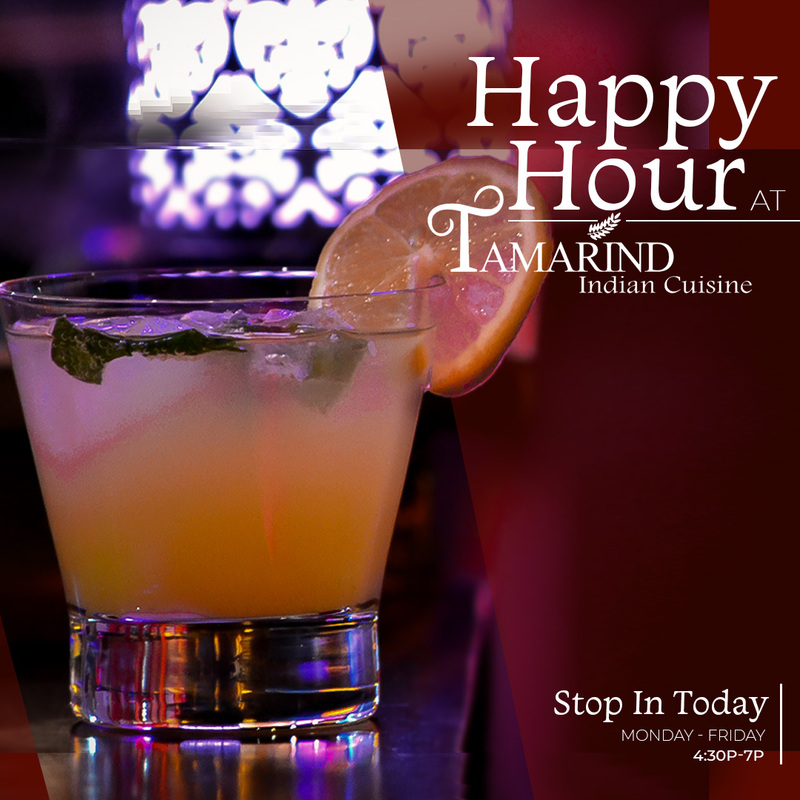 Here at Tamarind Indian Cuisine, we know nothing goes better with our gourmet Indian food than authentic, imported Indian beer or handcrafted Indian cocktails! That’s why we feature daily happy hour specials at out Indian Restaurant in Sterling, Virgina. With so many great deals available, you can combine your favorite Indian dish with a beer, cocktail, or other beverage of your choosing! We take pride in offering an exciting new type of happy hour that is sure to provide a one-of-a-kind experience! Tamarind offers an inviting, one-of-a-kind atmosphere for unwinding after a hard day’s work or taking out that special someone for a fine dining experience. Socialize with family and friends and bring out the flavor in your favorite Indian foods by pairing them with a selection from our variety of beers, wines, and cocktails. If you need help deciding which beverage will best suit your preferred Indian dish, our kind and courteous staff with gladly guide you in the right direction with their extensive knowledge of Indian cuisine! See our most updated list of happy hour specials below, and stop in our Indian restaurant this week to experience an exciting new kind of happy hour!